Saturday 18th March, 10.00am – 5.00pm. 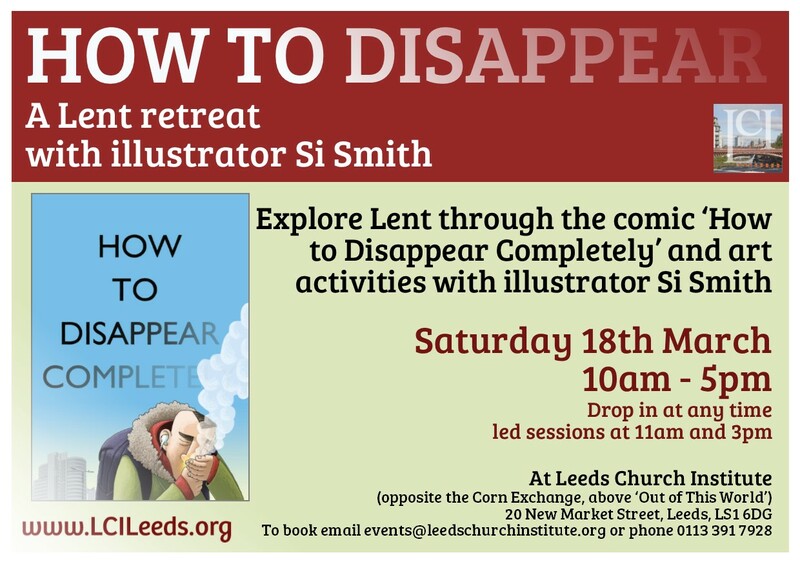 Come and explore Lent with LCI and Si Smith, the illustrator behind ‘How to Disappear Completely’, a comic for Lent and for Leeds. The day will give you the opportunity to explore Lent by being part of the story. There will be a chance to create your own artwork and led sessions at 11am and 3pm.